At some point in time, as a homeowner, you're going to be curious about real estate values in your neighbourhood. You may have a glimmer of an idea of your house value simply by chatting over the fence with a neighbour. Or you may keep tabs on local asking prices by occasionally perusing the real estate section of the local newspaper or scanning the MLS System. Somehow, most homeowners have some vague idea - right or wrong - about how much their property is probably worth. You may wonder just because you'd like to have an idea of your net financial worth. Or you may be considering moving up, out, in, down or over and want to know if it's financially feasible. You may be reluctant to seek the assistance of a realty agent because you prefer to avoid any commitment at this stage. Or maybe you're planning to attempt a private sale and need to have an idea of home market values on your street. Whatever the reason, there are a few ways a homeowner can obtain a real estate value estimate. 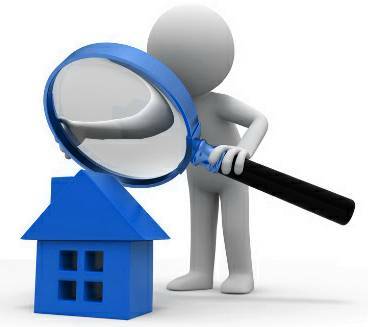 You could hire an appraisal company which specializes in home appraisal. An accredited appraiser will visit your home, maybe take some measurements and a few photographs and inquire as to the purpose of the appraisal. Typically, they'll use a method of evaluation called a Comparative Market Analysis (CMA), which is the same basic method used by real estate agents. In exchange for a flat fee of a few hundred dollars or more, depending on the size and complexity of the property, the appraiser will provide a written report containing the technical details of your property, usually with photographs, as well as its limitations. They'll include details and photos of comparable homes, with adjustments made to the sale prices for time, size, features, improvements and specific location. But you must keep in mind that it's an appraised value, which isn't necessarily market value. The estimate is based on historical data. Market value, on the other hand, is subject to current supply and demand; in other words, the whim of the market and local economy. Market value is basically defined as the price a willing buyer will pay to a willing seller, with full knowledge as to the purposes for which the property may be used. If either party is under duress, the ultimate sale price could vary considerably. There, you could explore the records for details of homes recently sold in your neighbourhood. Obviously, property values will vary a lot, depending on how comparable they are to yours. This method will be somewhat helpful if you have a specific property similar to yours with which you're very familiar. This government office will not, however, give you many details, such as major improvements, about the homes. Plus it's an arduous procedure. Evaluating a property is not an exact science, nor is it simply a matter of comparing your home to others. When it comes to correctly determining real estate value, knowledge of the local market conditions is imperative. And objectivity is right up there too in importance. It's a common error made by homeowners to over-estimate the house value of their property because it's their home. It's almost impossible to avoid subjectivity about its advantages and deficiencies. If an agent is desperate for business, they may tell you what you want to hear, which isn't necessarily what you need to know. If you're planning to list your home for sale with a real estate brokerage and haven't been referred to any particular agent, you might consider interviewing more than one agent. Compare the services each has to offer and ask that they rationalize their opinions about the real estate value of your home. How do they arrive at their opinion? But just as important, determine how you feel about each of them. ... to perform efficiently and take care of your interests? Don't automatically list with the highest bidder. They may have opined high just to get your signature on the listing contract. If you want to try a private sale for a while, you could offer to pay a realty agent for their opinion. 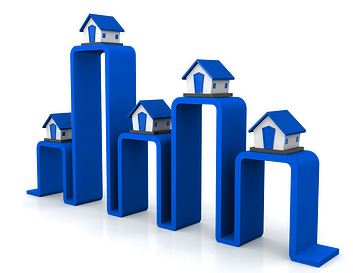 They can do a Comparative Market Analysis for your property, and invoice you a reasonable fee for that service. To be fair, don't take advantage of them by seeking their opinion, asking them to perform on your behalf and then not pay for their time and effort. They have to eat and pay their mortgage too. When I was asked for my considered opinion, and a listing isn't imminent, I charged a nominal fee for my evaluation service, declared up front, of course. But I usually agreed to deduct this fee from any future commission earned from the sale of their listing if they listed their home with me within a certain time period. If you're going it alone with a private sale, determining real estate value is not an easy task. But considering how much money is at stake, do you really feel it wise to follow this route? I don't think so, but to satisfy yourself that you at least tried, you might have to make the effort anyway. If you don't have an agent and would like a recommendation, I may be able to help you find a local agent. In any case, determining real estate value is too important to leave to an amateur - you. To learn more about selling a home, visit CREA. 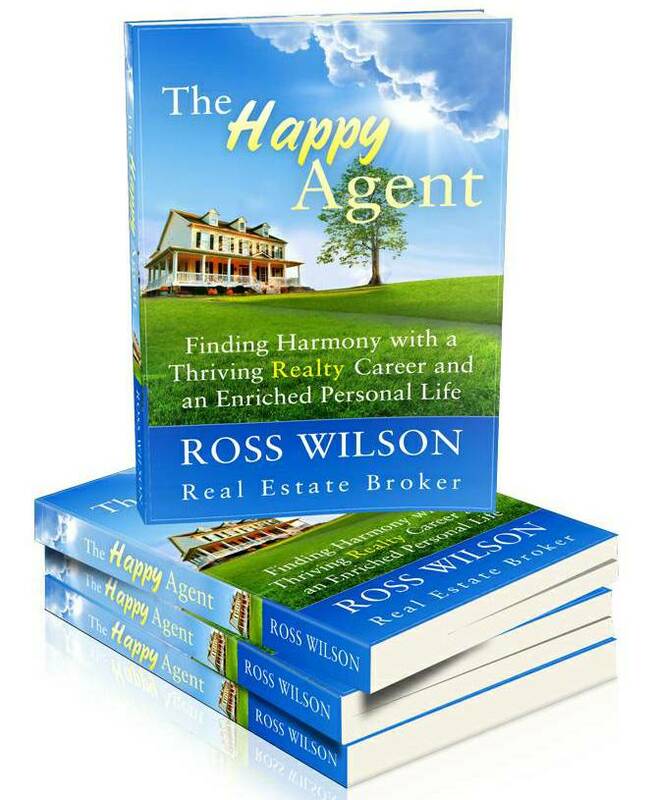 Having said all this, if you're adamant about at least trying to sell your home privately (or even with an agent), check out my book The Happy Agent. 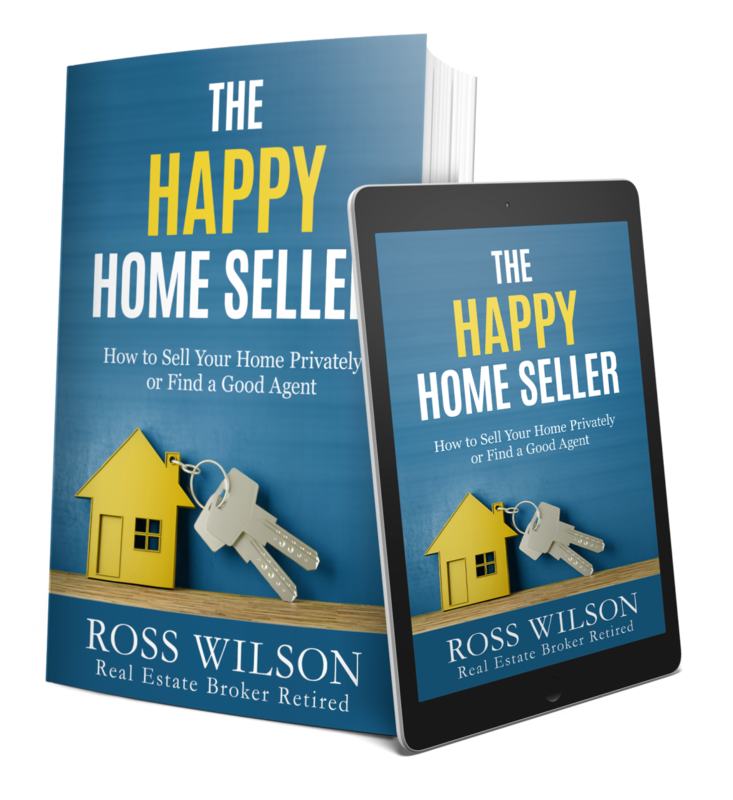 It contains the sum total of the real estate knowledge, philosophies and techniques that I've accumulated, practiced and polished during a highly successful 42-year realty career. Learn how to determine an estimate of the real estate value of your home and prepare it for market to maximize the ultimate sale price, how to market and advertise effectively, how to handle showings and open houses like a pro, how to successfully negotiate an offer and more. You'll also learn how to recognize the signs of when it's time to throw in the towel and hire a professional and what to expect from them. When you consider the huge possible savings in real estate commission with a private sale attempt and the fact that you're dealing with your largest single financial asset, a small investment of your time and a pittance of your money could save you thousands of dollars and a ton of heartache. At the very least, you'll be encouraged to try it alone, at least for awhile. Remember - knowledge is power.